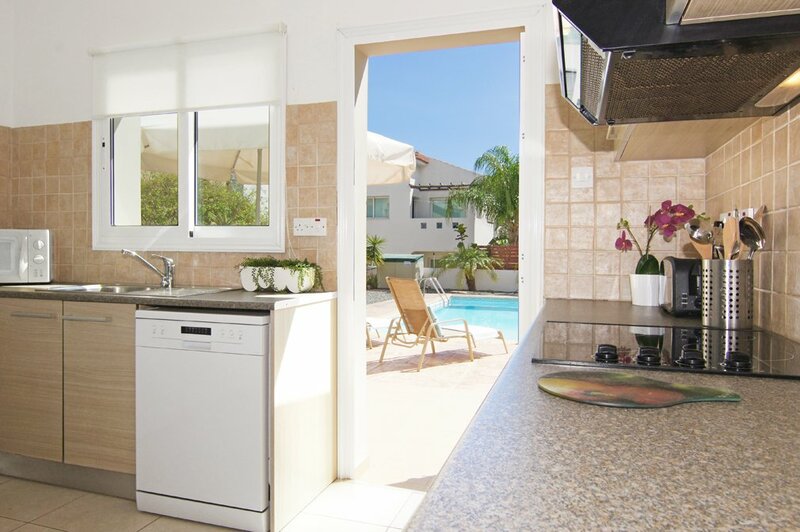 Two bedroom villa for 5 persons has everything you need to enjoy an unforgettable holiday in Cyprus by the beach. 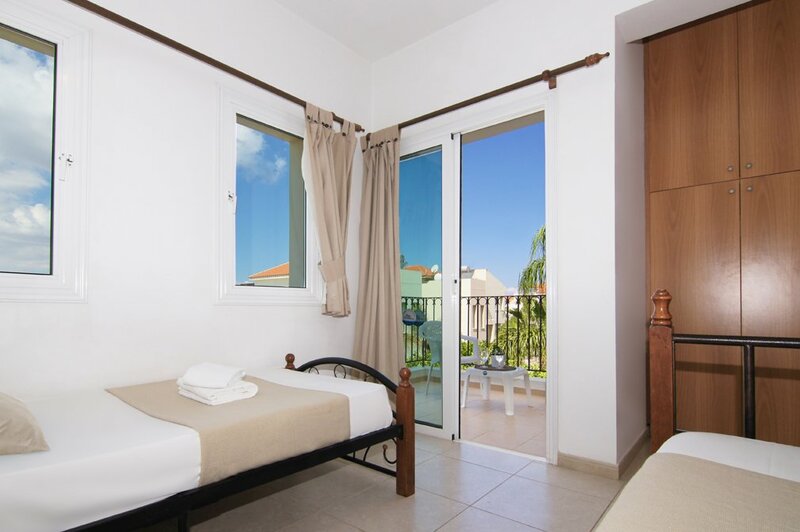 Set in Ayia Triada at Protaras resort close to the harbour and various other local beaches and just a short stroll to the many bars, shops and restaurants guaranty’s perfect holiday. It has its own private pool and fenced spacious outdoor area for sunbathing. Furnished to high standard with a fully equipped kitchen and two spacious bedrooms, you are guaranteed to enjoy every minute of your stay. This Villa is a remarkable 2 stories self-catering 2 bedroom villa with nice furniture in both spacious bedrooms, air conditioning and heating. 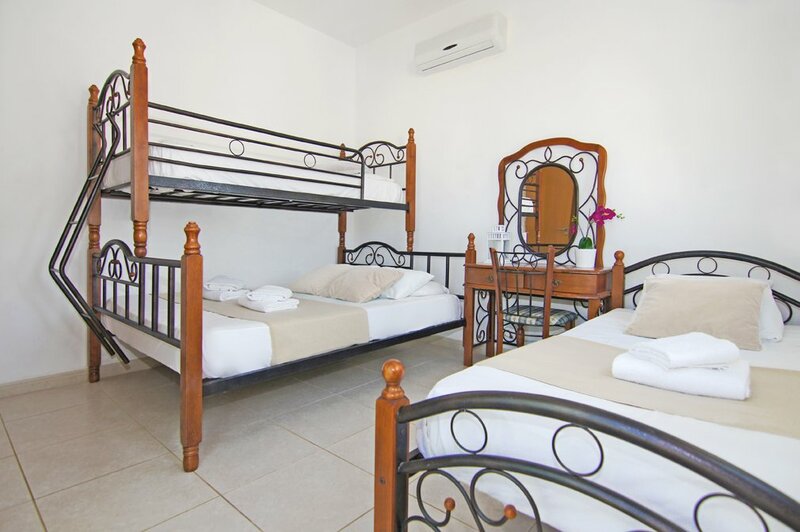 One of the bedrooms is with a double bed and the other has a bunk bed and a single bed. Both bedrooms have built in wardrobes. 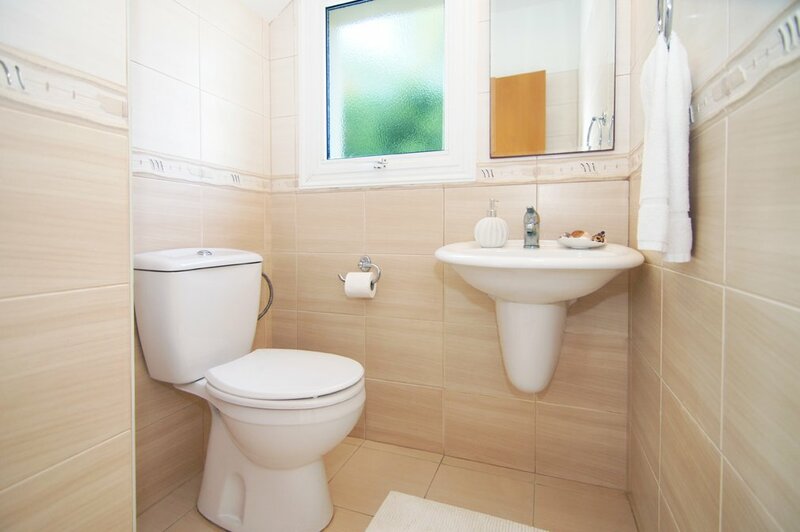 There are one family bathroom upstairs and a guest toilet with wash basin downstairs. Living room has satellite TV, DVD player and high speed internet access free of charge. 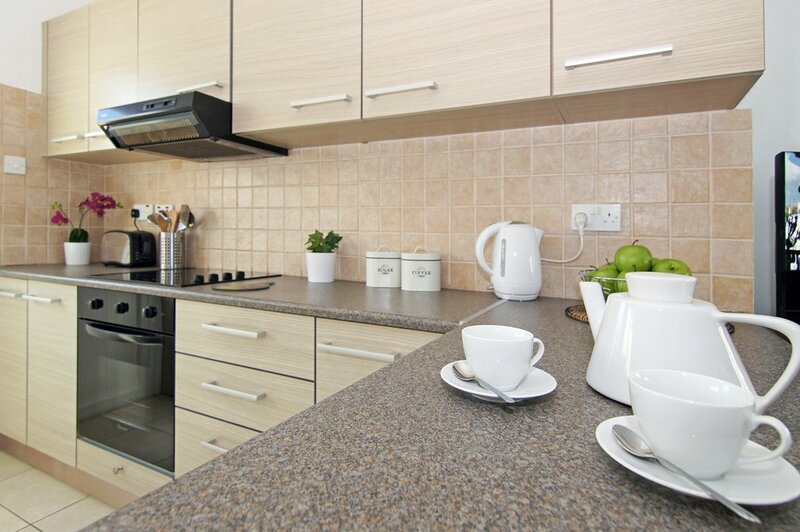 The kitchen is fully equipped with fridge/freezer, cooker, microwave, toaster, kettle, dishwasher, washing machine, ironing facilities, oven, extractor fan and all cooking utensils, dining table with four chairs. 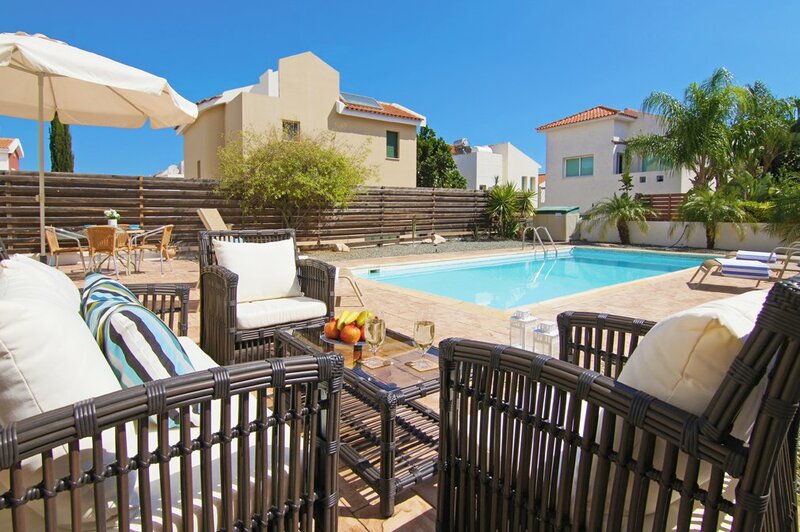 The pool is 8m x 4m with sun beds and umbrella, garden furniture, and outdoor shower. 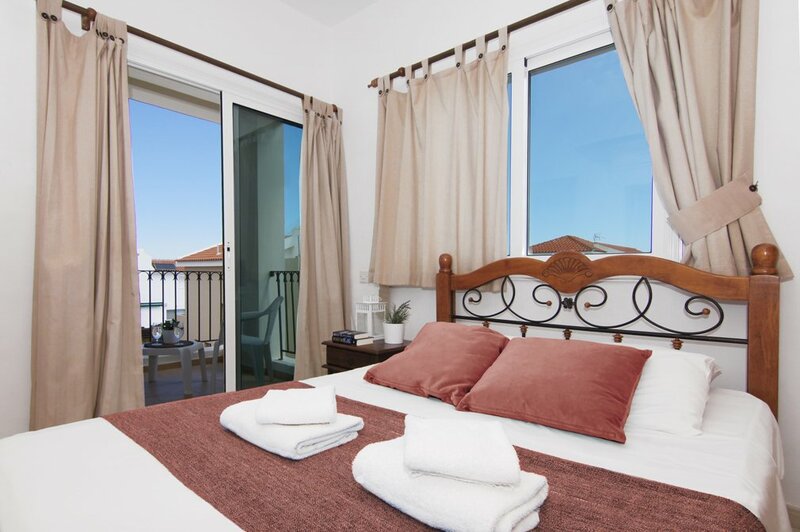 Care has been taken to make every detail of this villa count, from the bed sheets and crockery, right up to the sun beds and the furnishings. Fence surrounds the property for privacy. 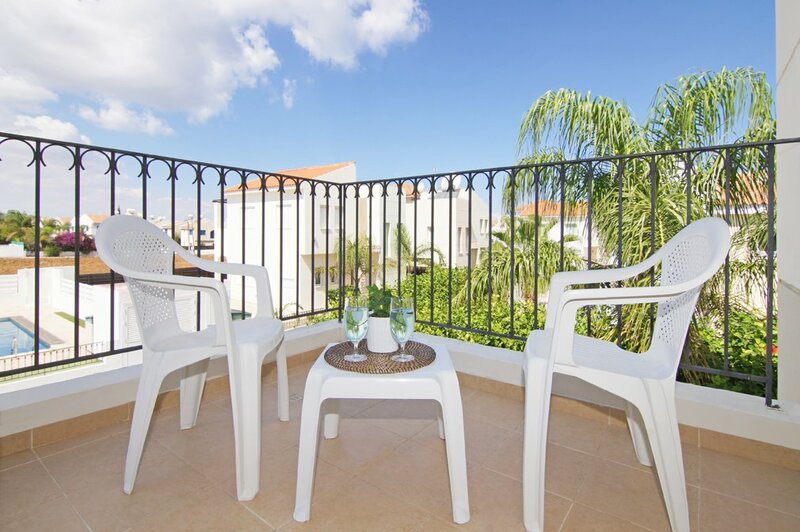 The Villa is 400 meters away from Ayia Triada sandy beach and walking distance from various other famous beaches. All kind of shops are also in walking distance. Linen and bath towels are free of charge, as well as swimming pool maintenance throughout your stay (twice a week). 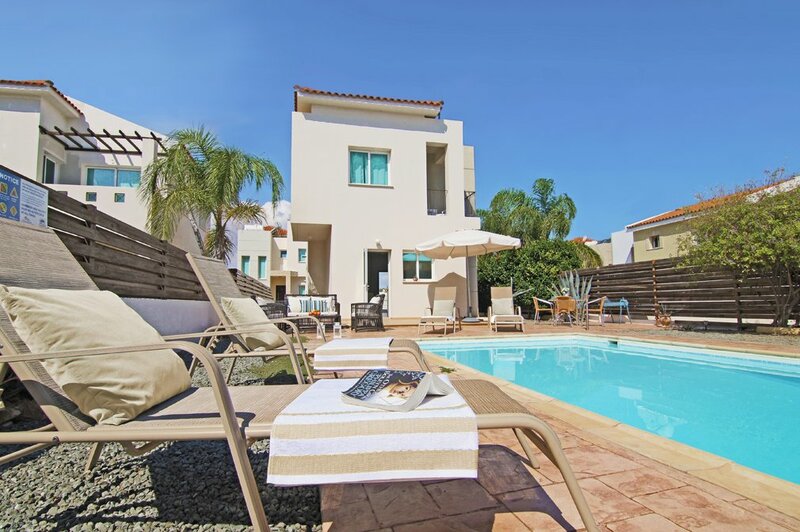 Villa is located in Ayia Triada Protaras area, one of the most attractive beach resorts in Cyprus with some of the best beaches of Cyprus, excellent taverns and restaurants, supermarkets, banks, kiosks and car hire rental offices. Larnaca airport is about 40 minutes’ drive from villa. 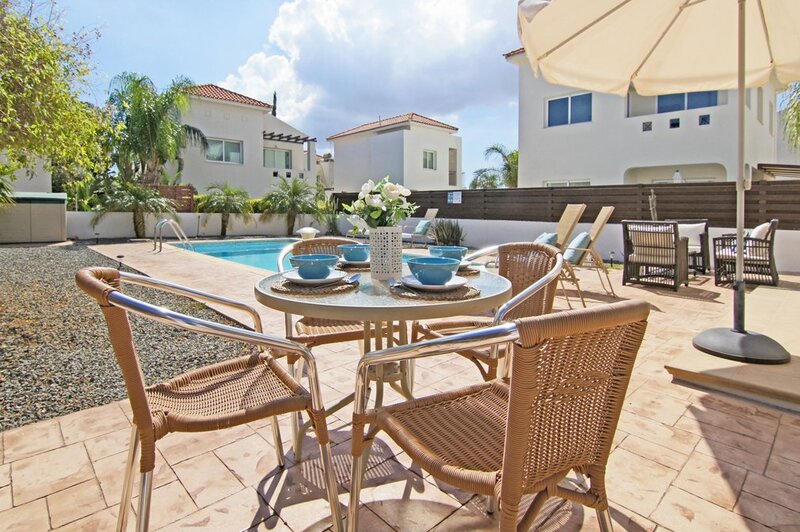 The villa ideally situated and equipped offers pure relaxation and family-orientated holiday on one of the most attractive Cyprus beaches with boat trips, scuba diving, fishing, swimming and diving, and all kind of water sports. Cavo Greco is 7 kilometres from the villa. This area contains a National Park Forest, occupying an area of 390 hectares and offers facilities for cycling, horse riding, and rock climbing, hiking, and picnicking. The scenery and views in this area are some of the best on the island. 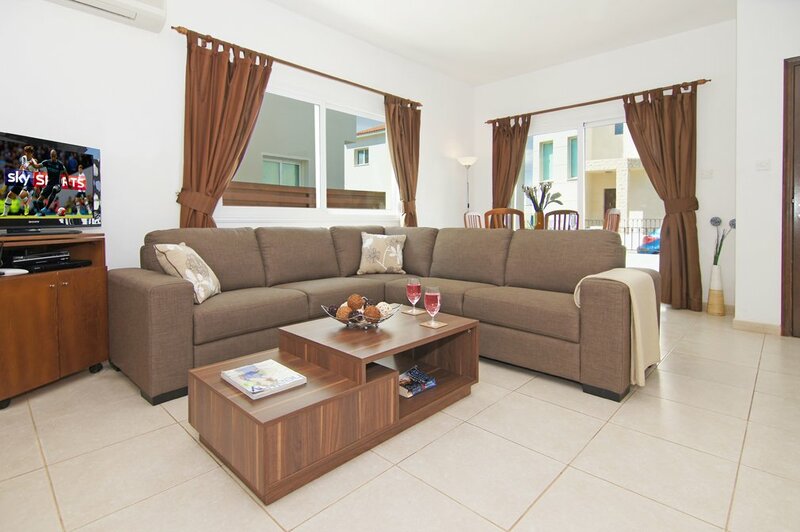 Two bedroom villa for 5 provides a holiday experience to remember. Its great view and the cool, relaxing atmosphere are all you ever dreamed of. Please note that 200 Euro security deposit is required payable cash on arrival before check in. To be returned on the check-out day if there are not any damages. 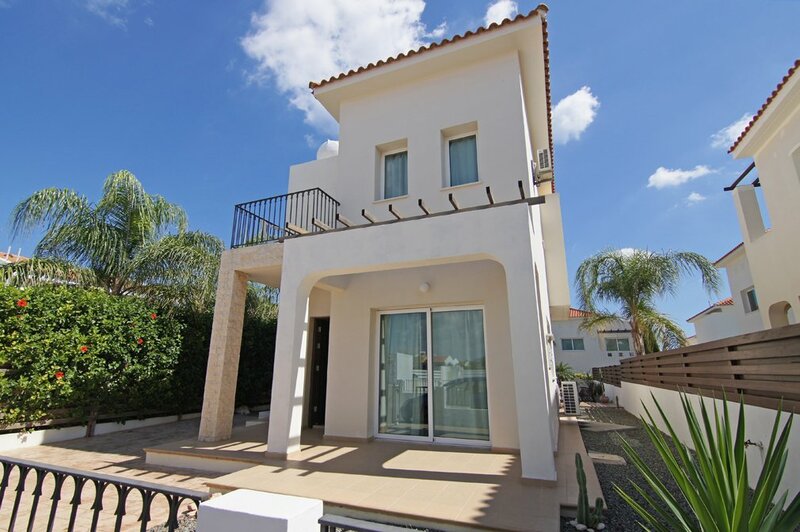 Fabulous villa, furnished to a high standard.Nice size pool and gardens in quiet residential area. Only down side was distance to strip/Albufeira/supermarket which you definitely need transport for. Taxi is 5 euro and some drivers found location difficult. Area is Vale de Pedras rather than Montechoro and we were told to quote St. Miguel Street. Would definitely go back. 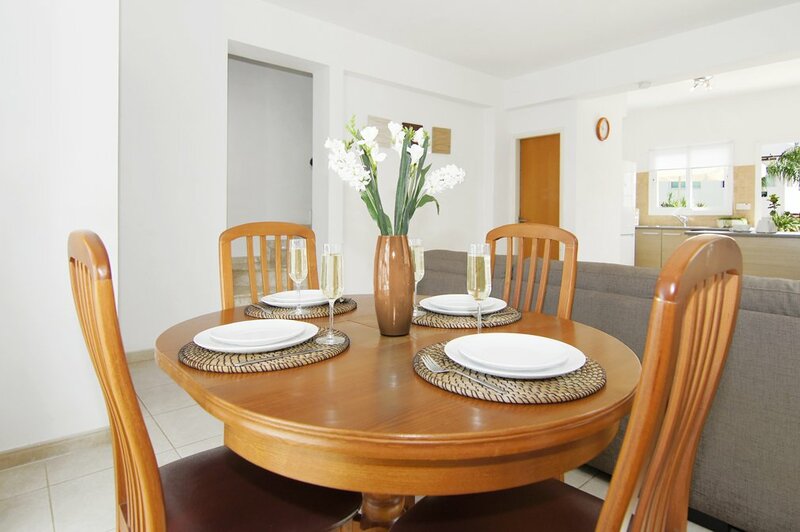 We were happy to book this modern apartment on the beach and near the luxury hotels of limassol. We had everything near by and we didn’t need to rent a car as we had all facilities around in a walking distance. The price was good enough. 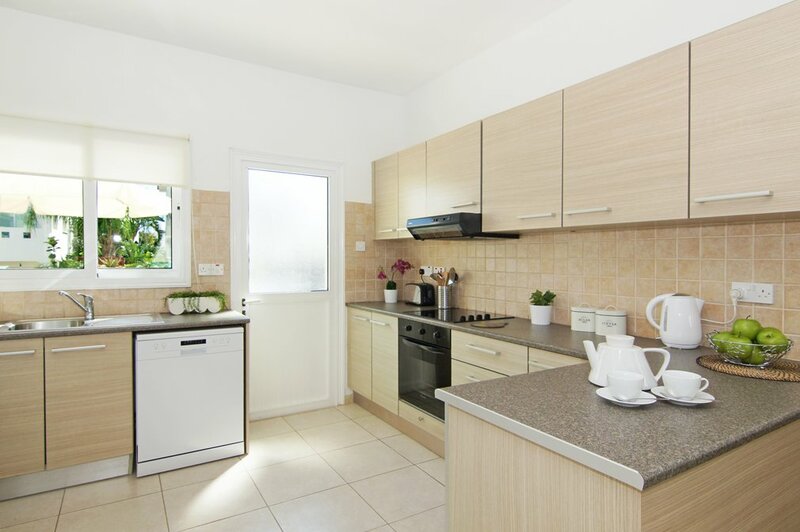 Lovely Apartment on the beach and in the heart of tourist Limassol area! We really liked our stay very much. The beach is just below the apartment was great!!! We highly reccomment this Apartment! We enjoyed very much this lovely apartment which is really overlooking a beautiful endless clean beach just 20 meters away. 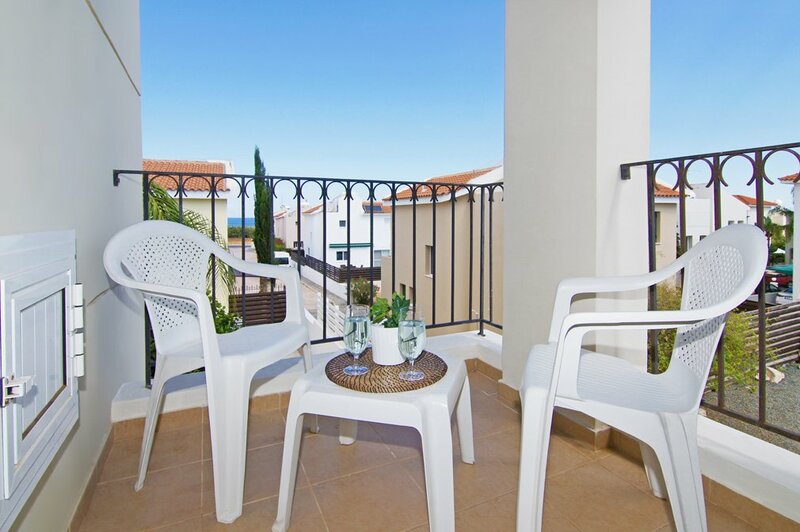 The sea view from the specious veranda and the sitting room is fantastic!